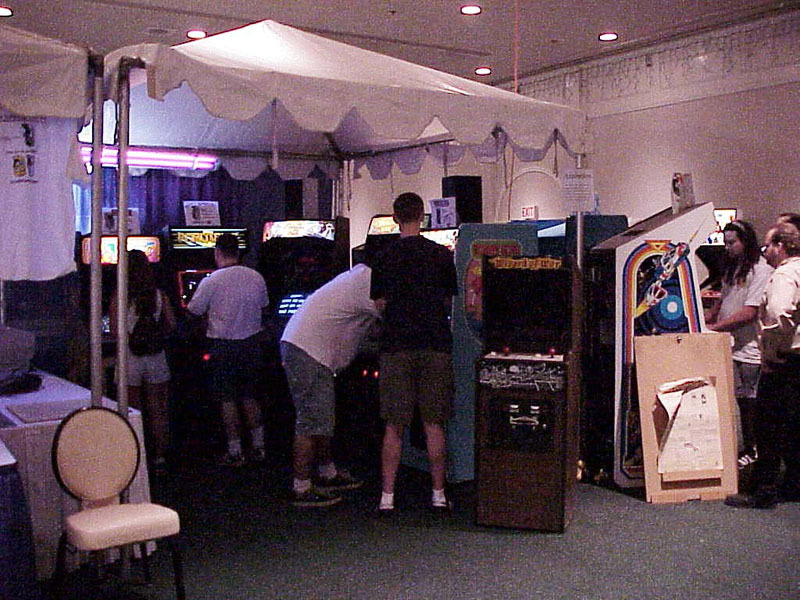 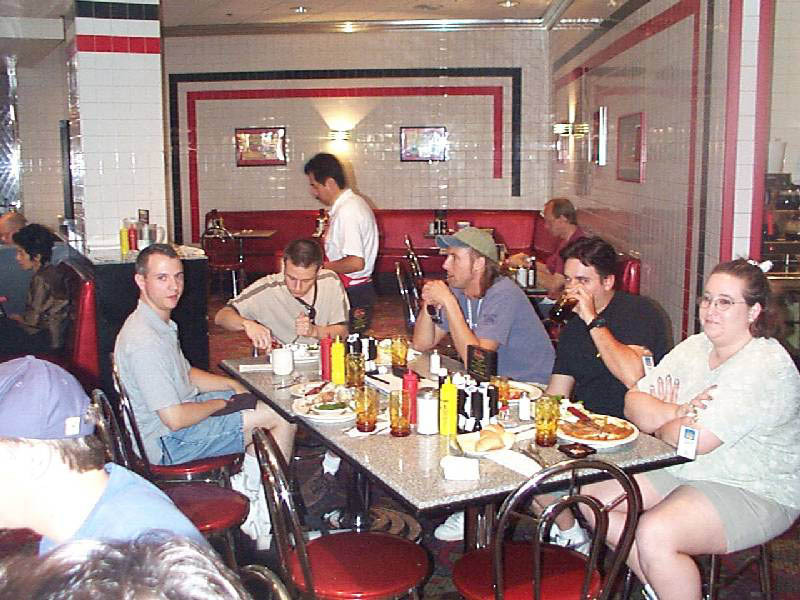 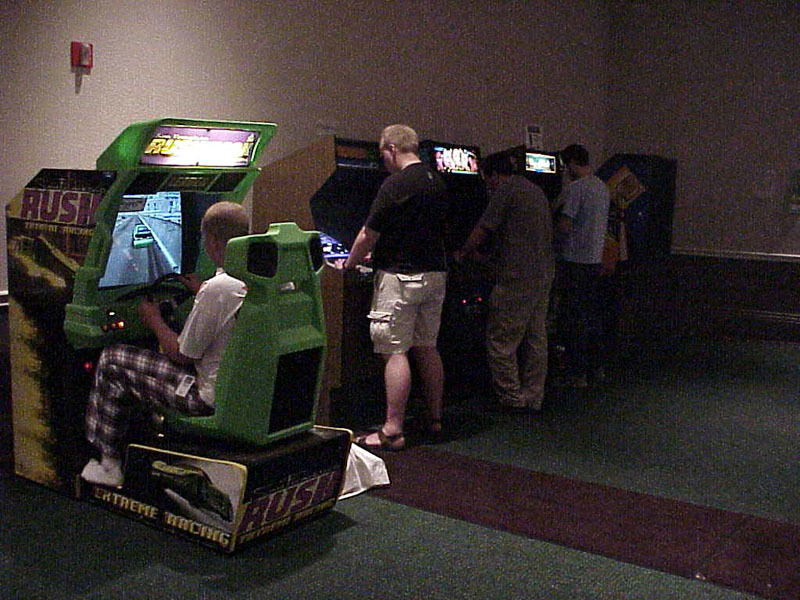 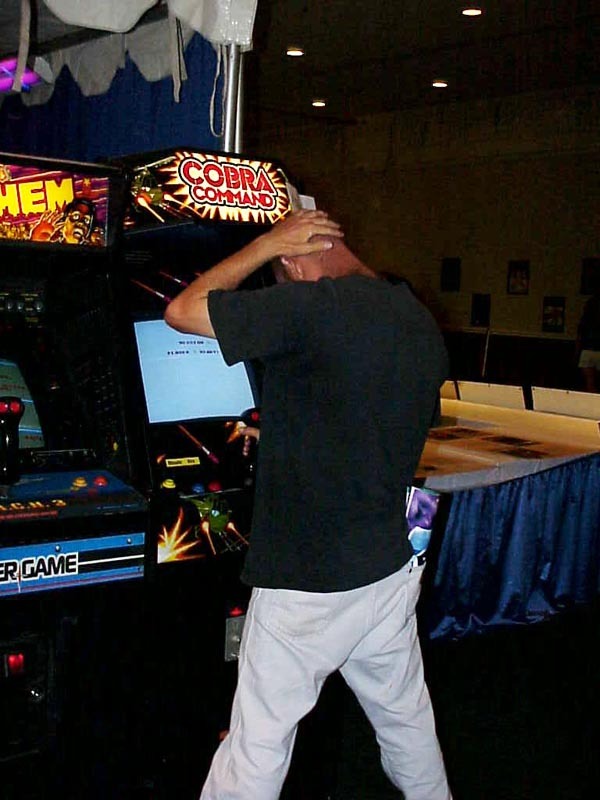 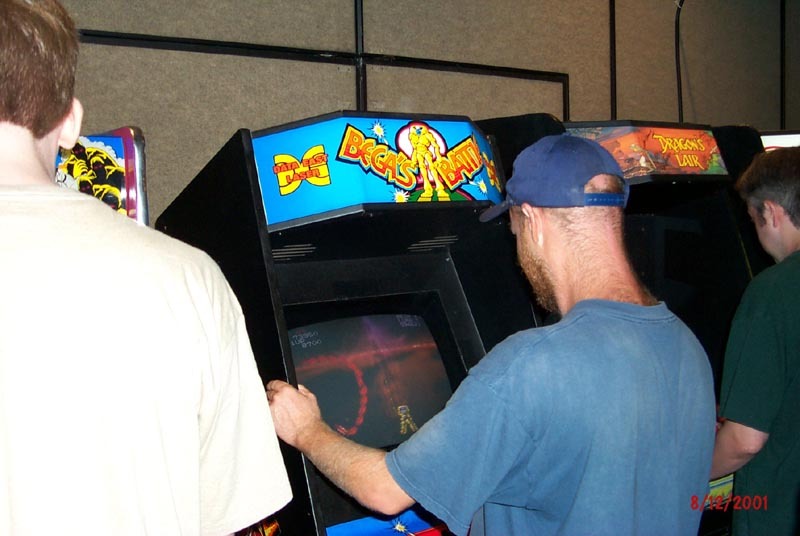 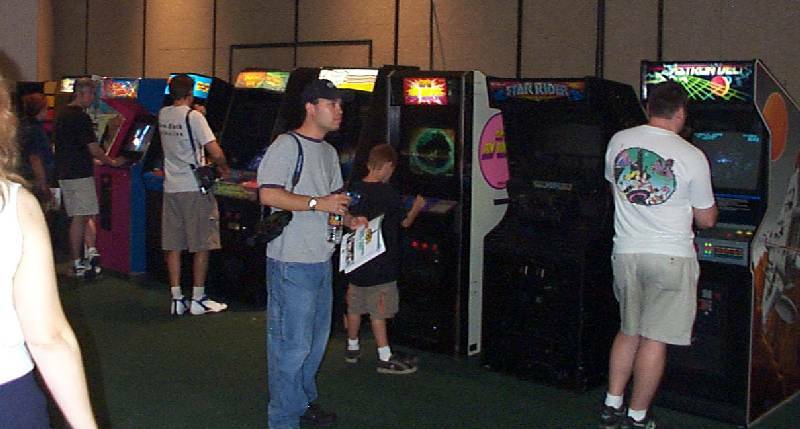 The Classic Gaming Expo 2001 was once again held at the Plaza Hotel & Casino in Las Vegas, Nevada on August 11th and 12th. 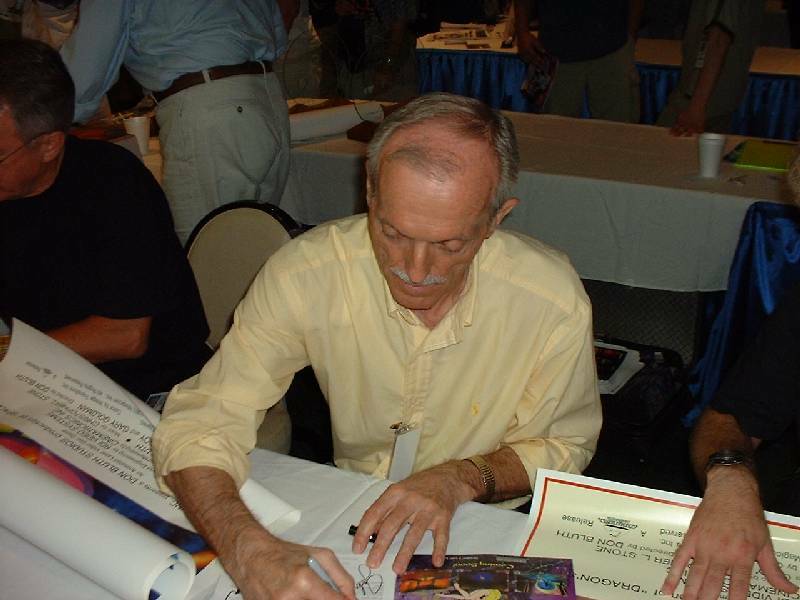 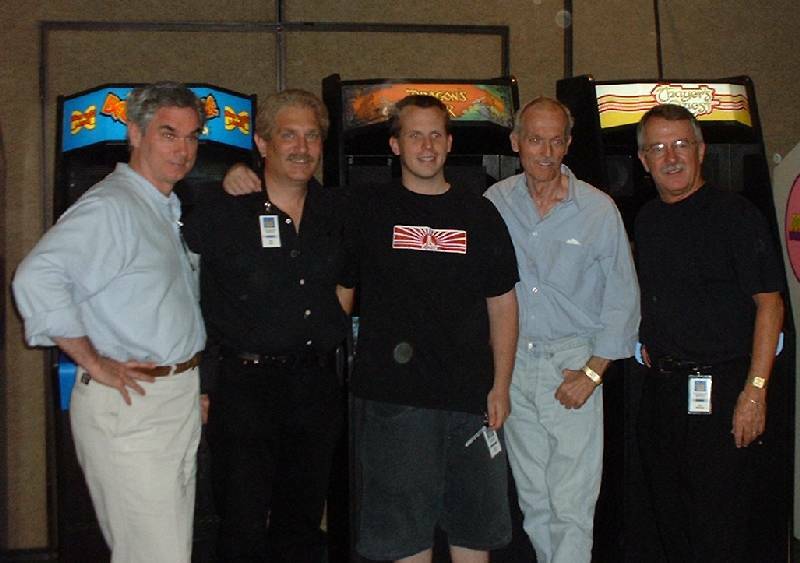 Dragon's Lair creators, Don Bluth, Gary Goldman, John Pomeroy, and Rick Dyer were on hand for a keynote presentation and the first public showing of the upcoming game, Dragon's Lair 3D. 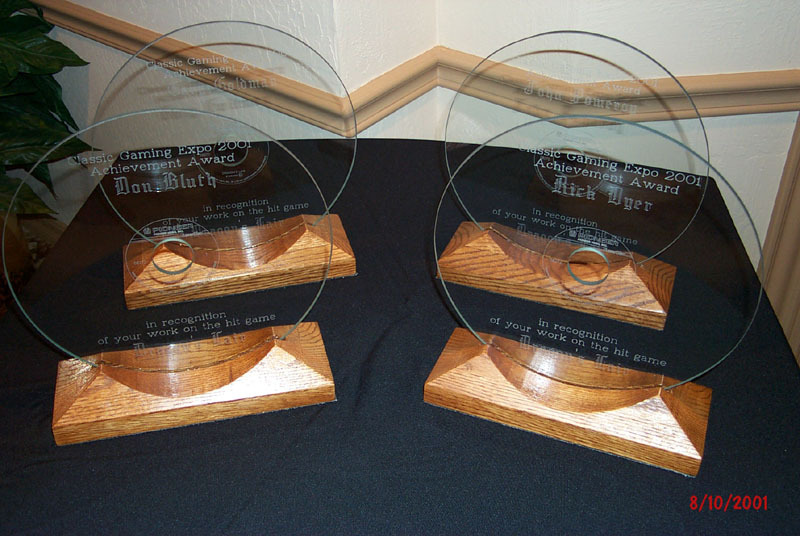 Jeff Kinder, Dave Hallock, Jim Bickmann, and Steve Hertz were invited to the CGE Awards Dinner / Ceremony on Friday night.  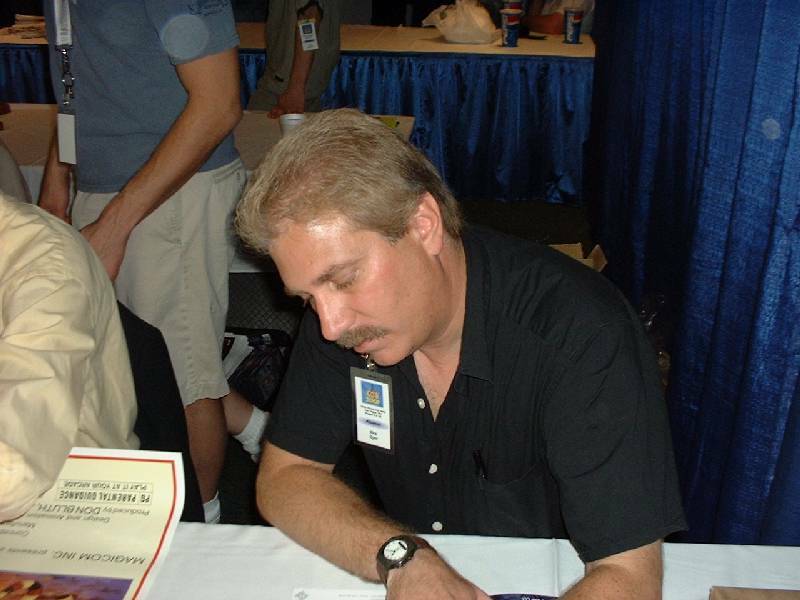 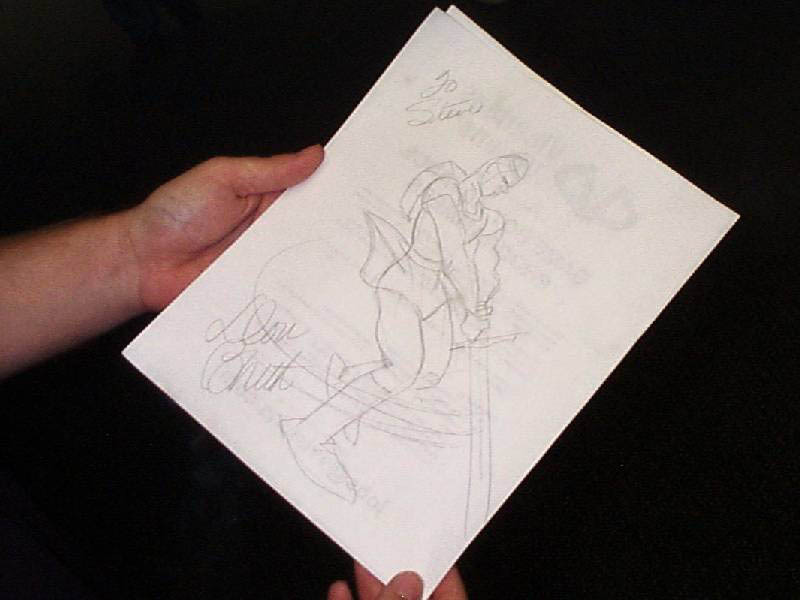 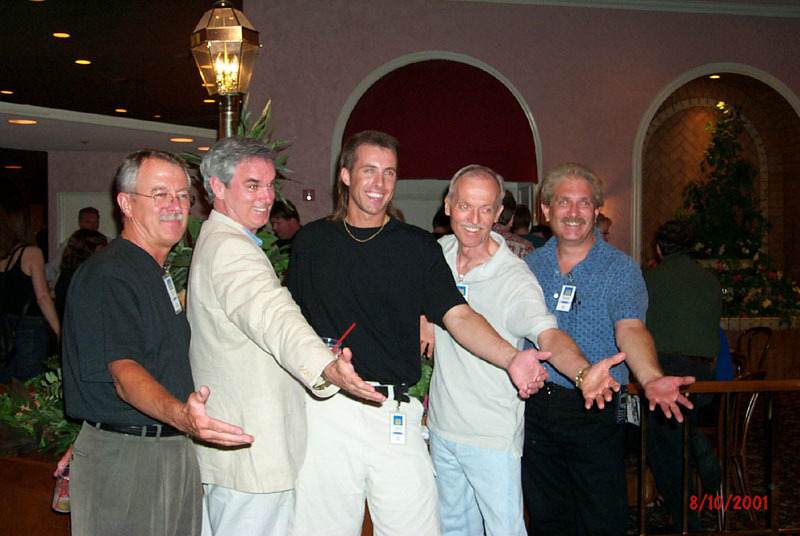 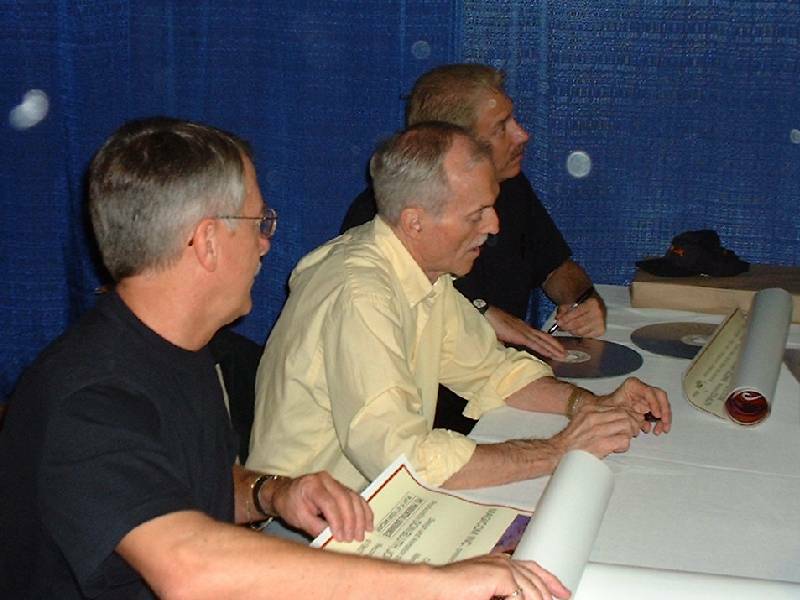 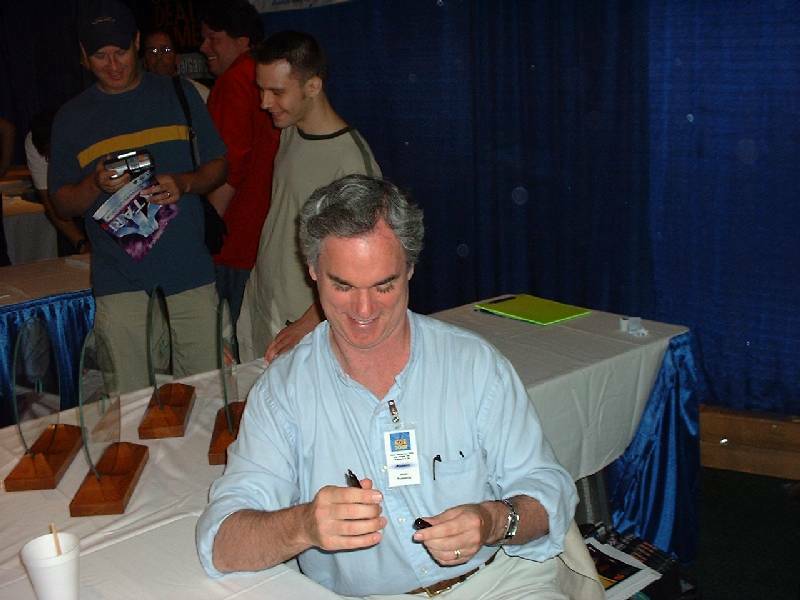 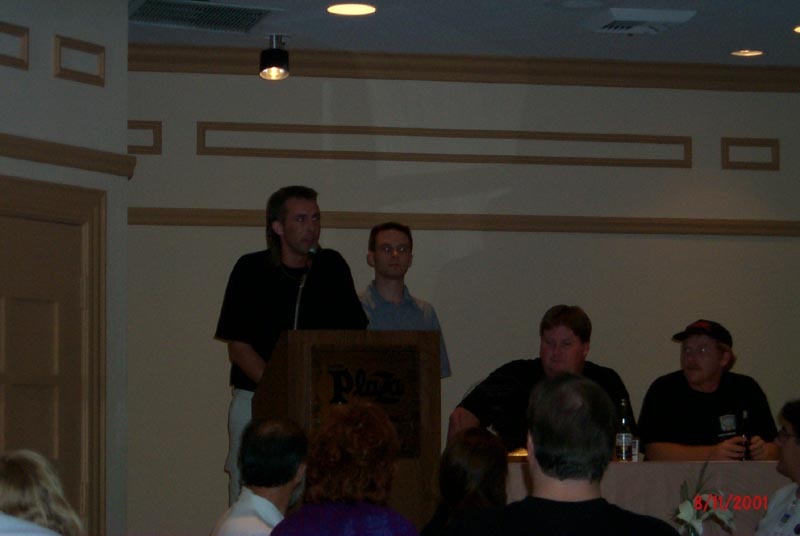 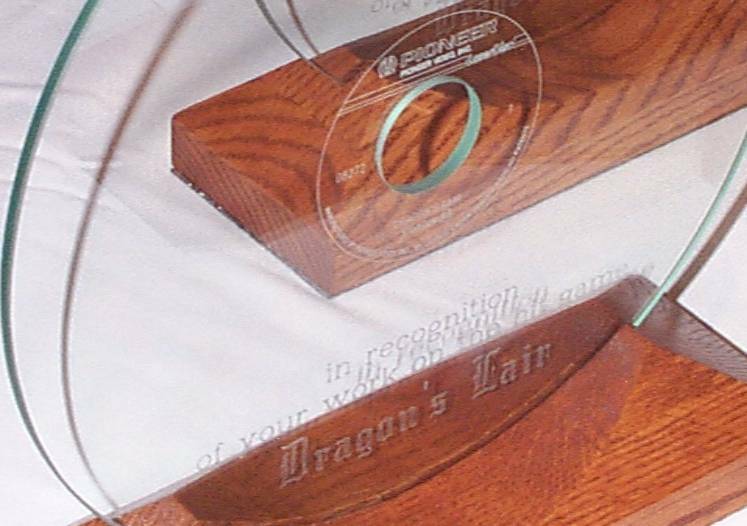 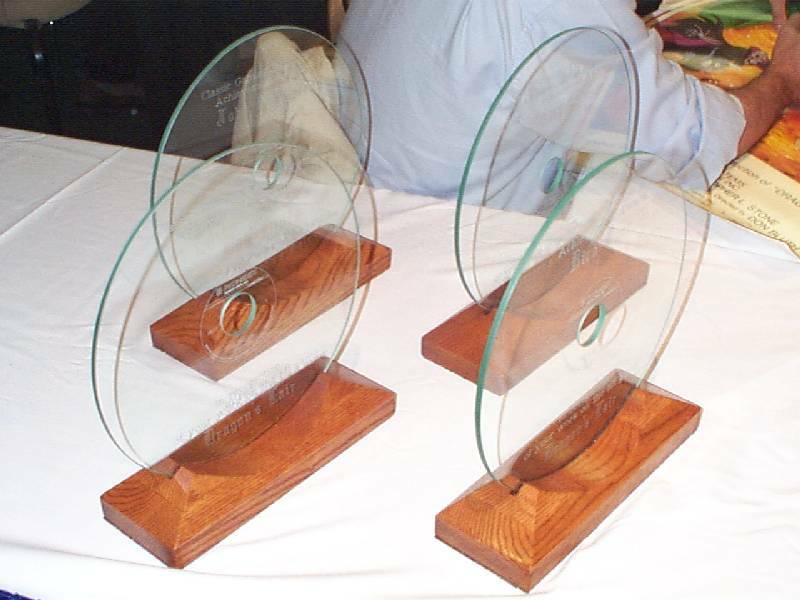 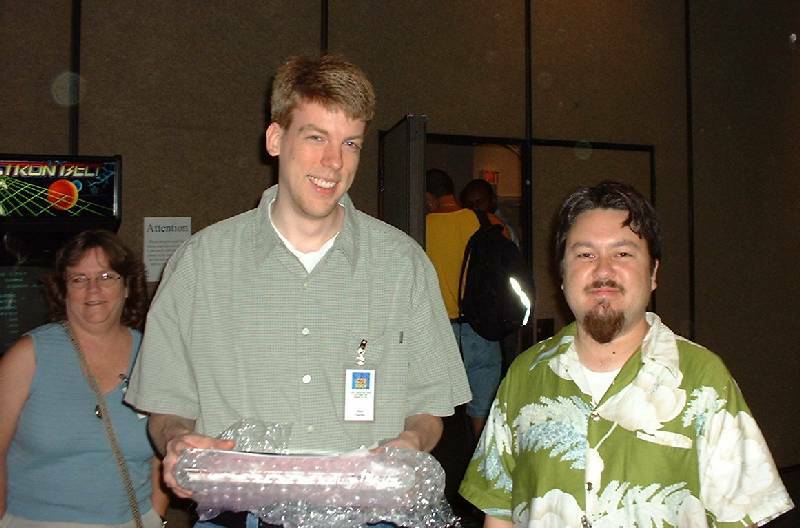 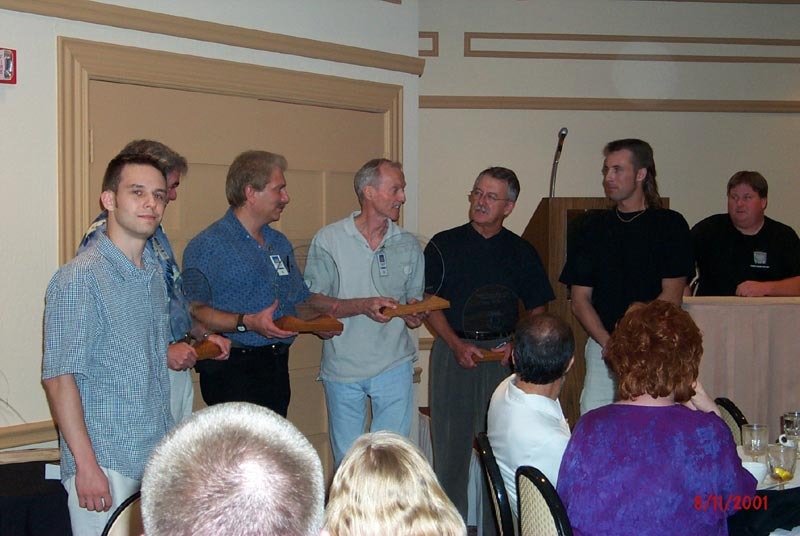 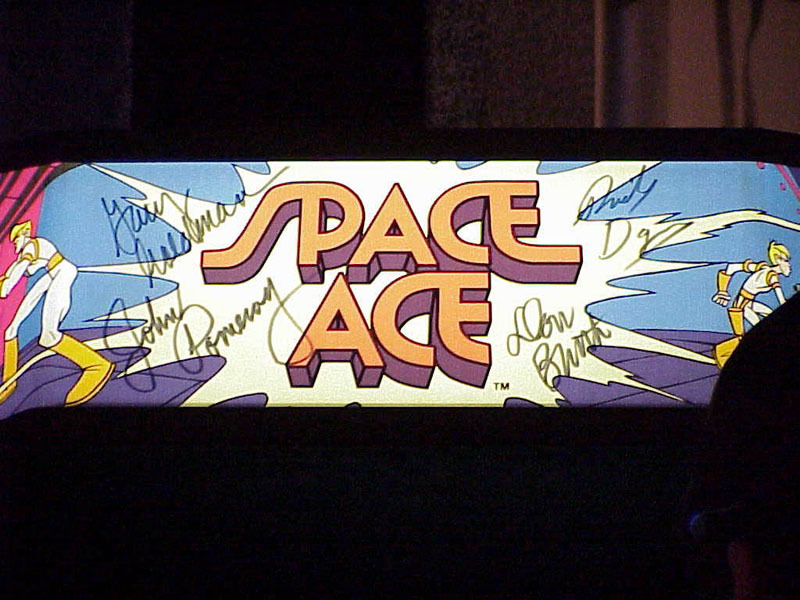 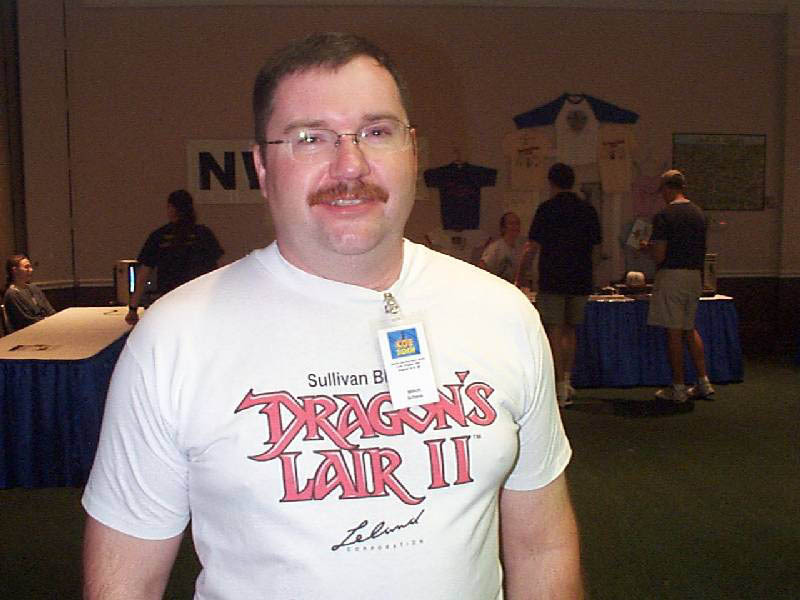 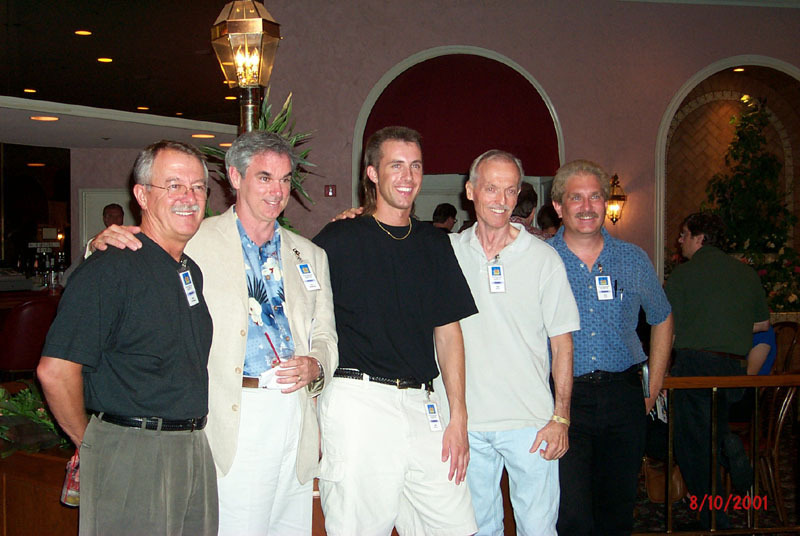 At this event, Jeff and Dave presented Achievement Awards to the creators of Dragon's Lair. 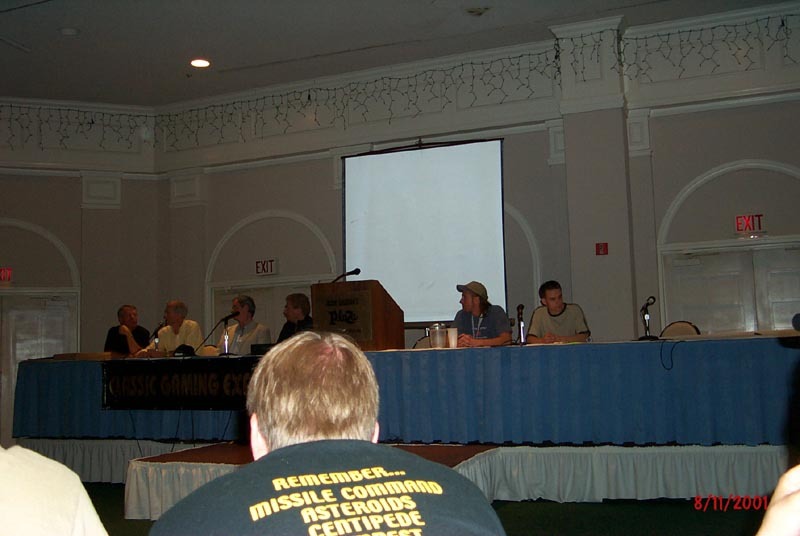 On Saturday, the keynote presentation exceeded everyone's expectations. 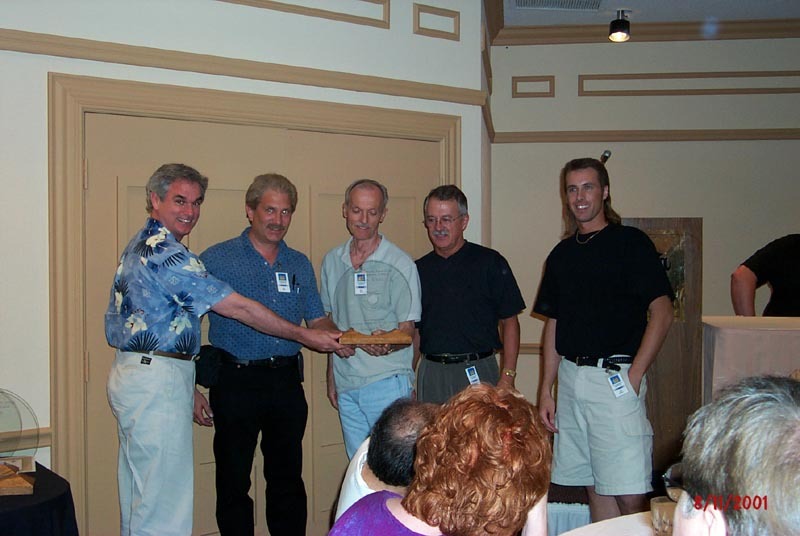 It was the first time in over 18 years that the four men responsible for the creation of Dragon's Lair were all together in the same room. 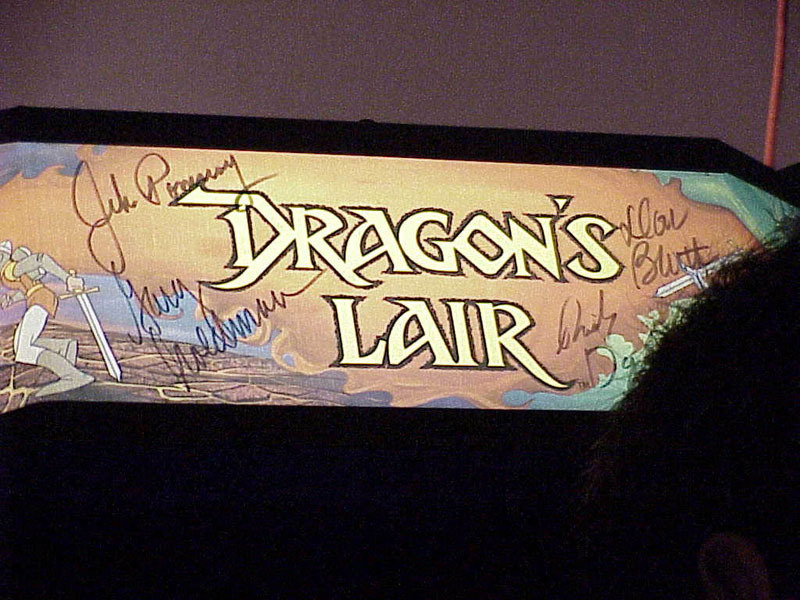 Jeff Kinder and Dave Hallock moderated the keynote presentation while Don, Gary, John, and Rick reminisced about the creation of Dragon's Lair and Space Ace, talked a little about the new Dragon's Lair 3D game, and showed storyboards of the upcoming feature film, Dragon's Lair. 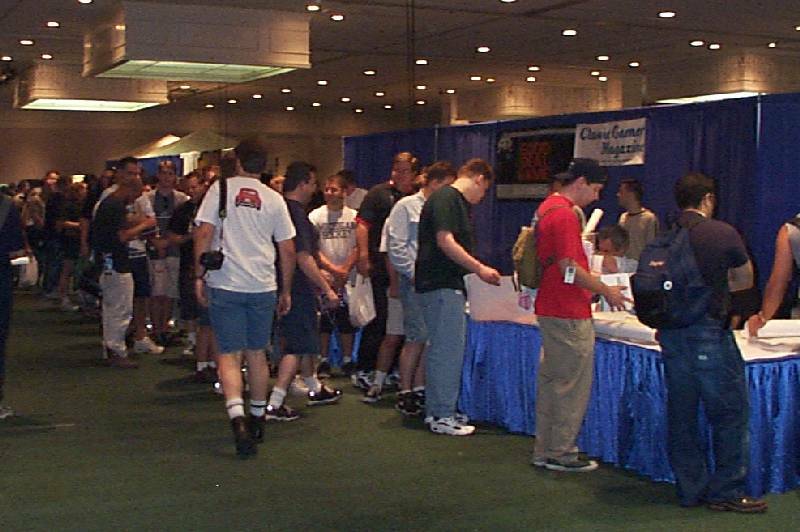 Later, the guys stuck around for the rest of the afternoon signing autographs and taking pictures. 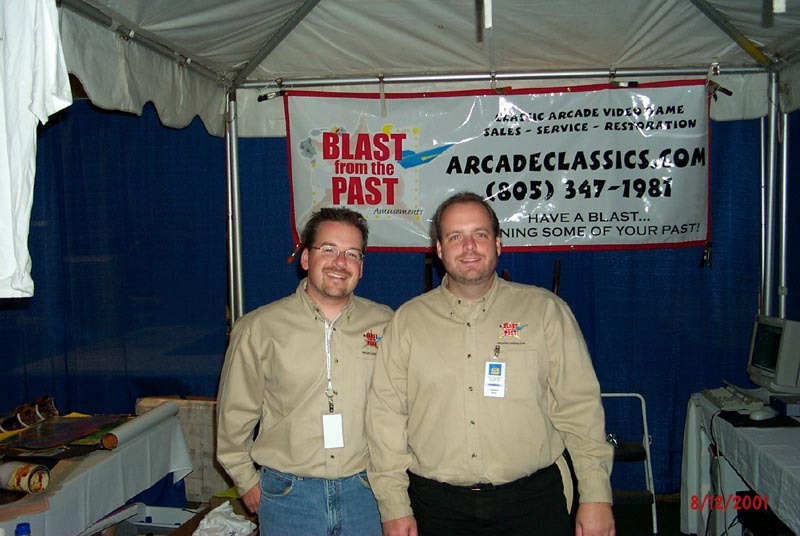 As usual, Steven Hertz brought quite a few of his laserdisc games from his collection and Damon Claussen of Blast From The Past Amusements brought a few laserdisc games from his collection as well. 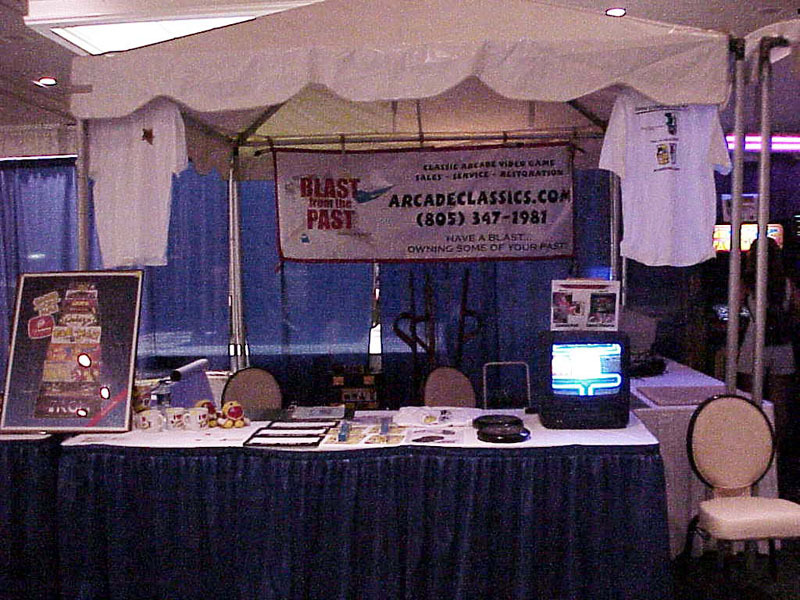 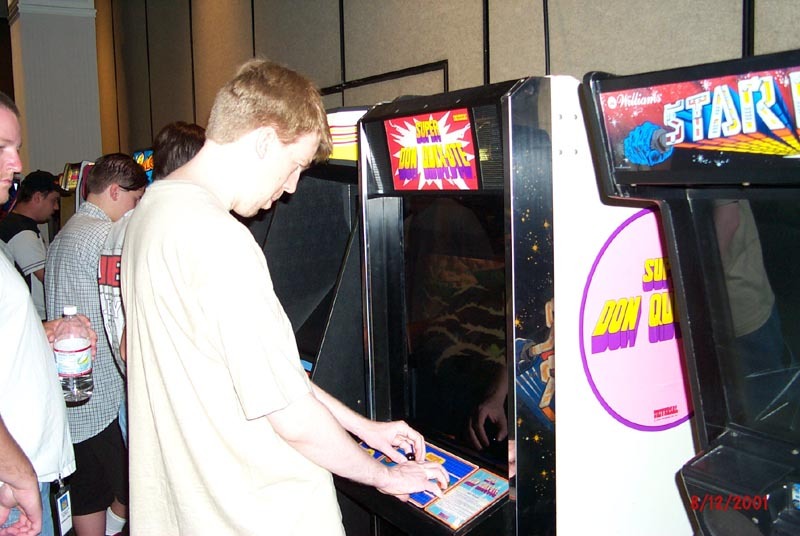 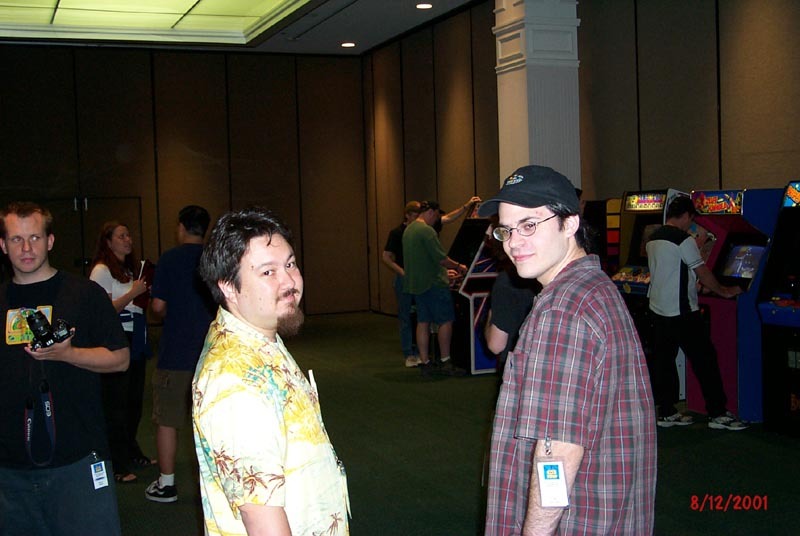 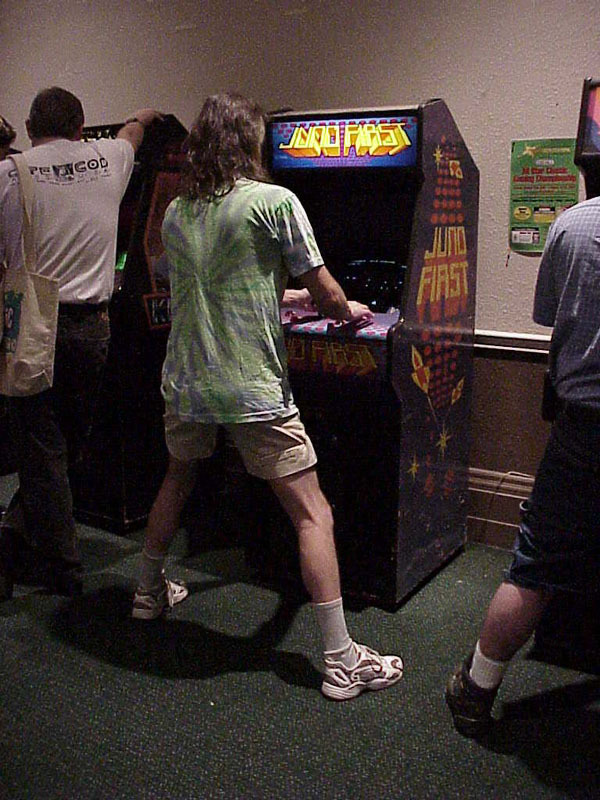 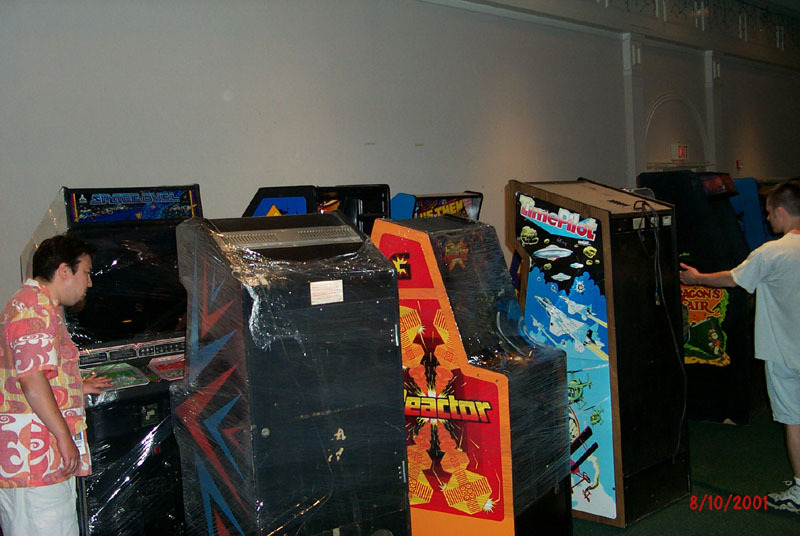 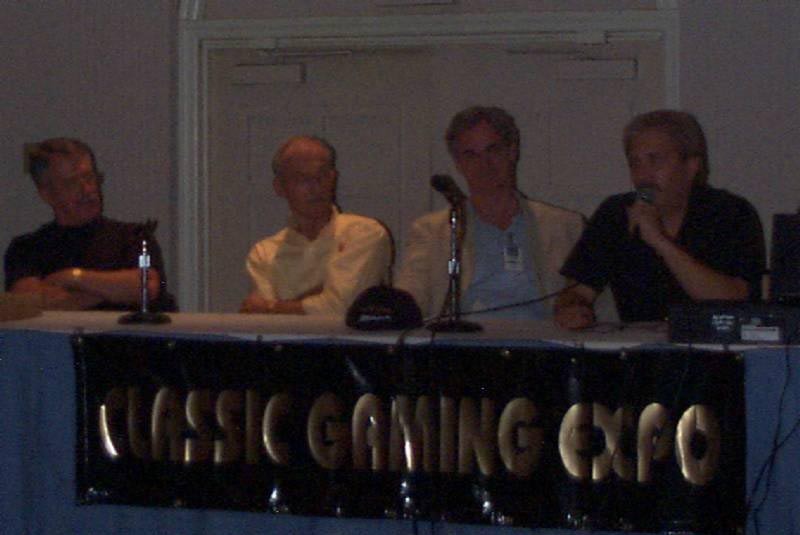 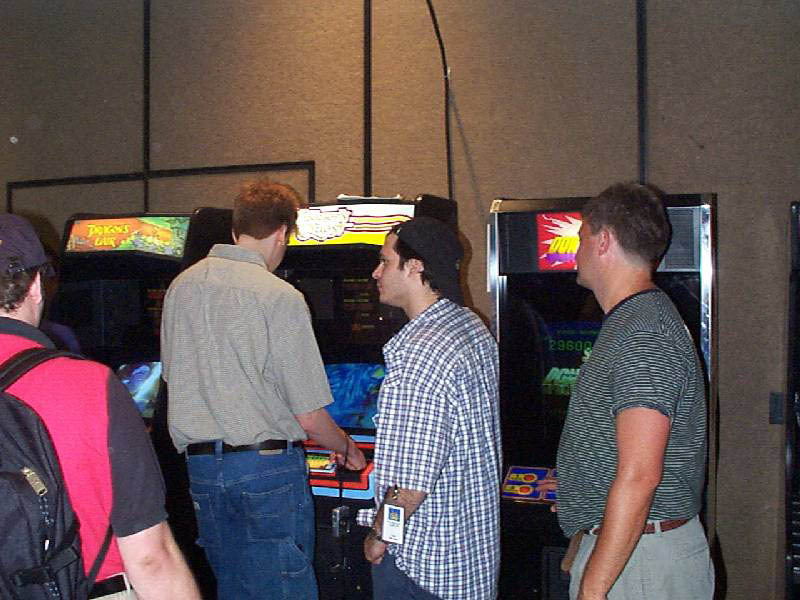 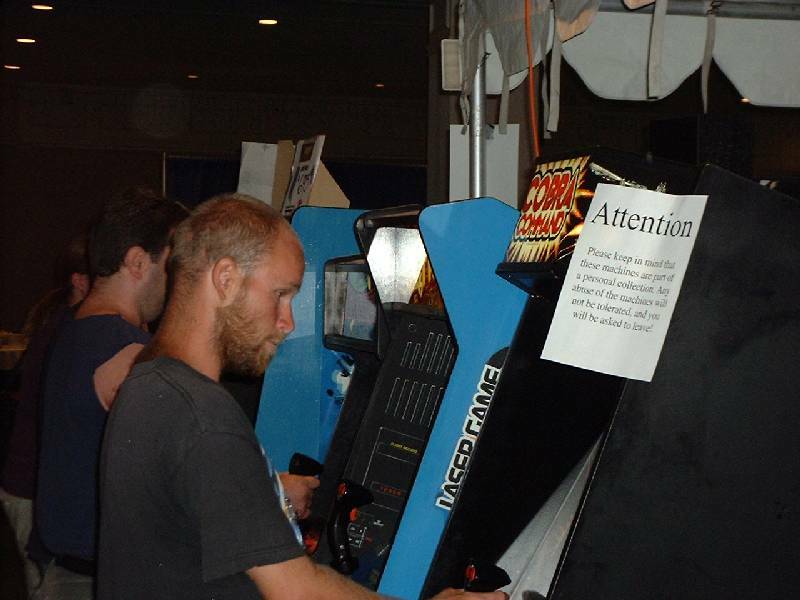 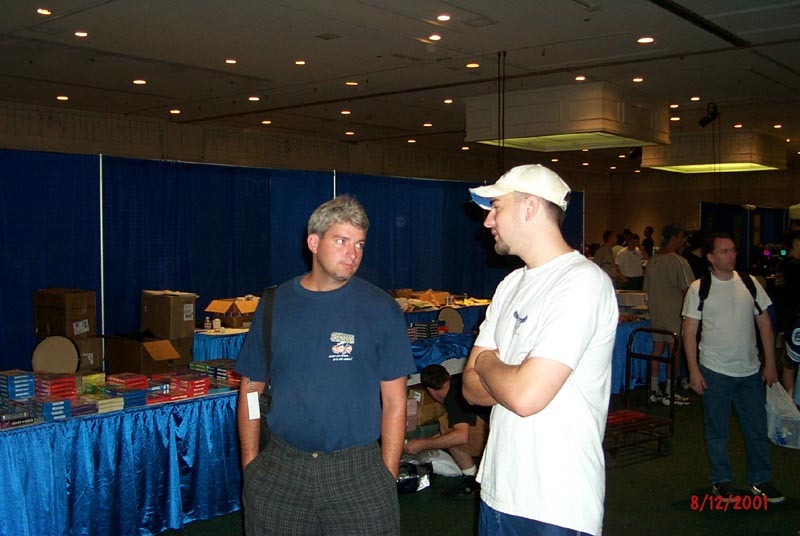 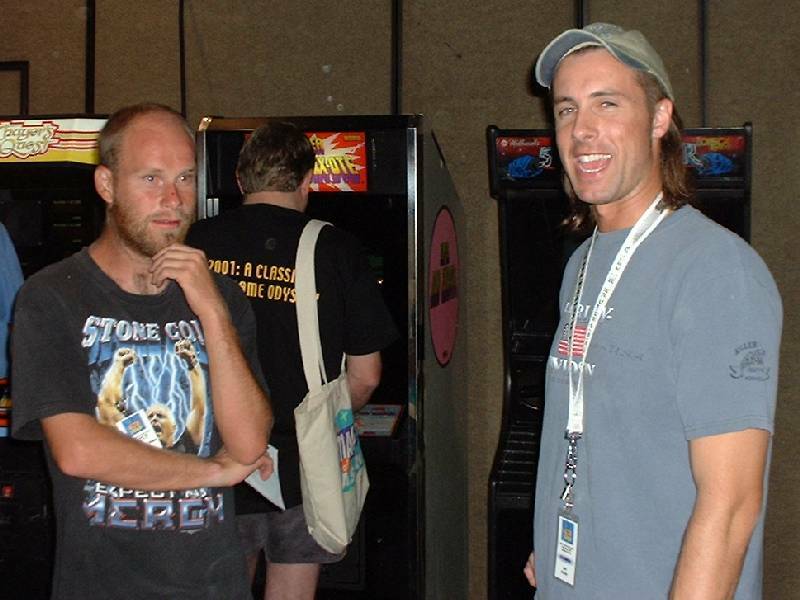 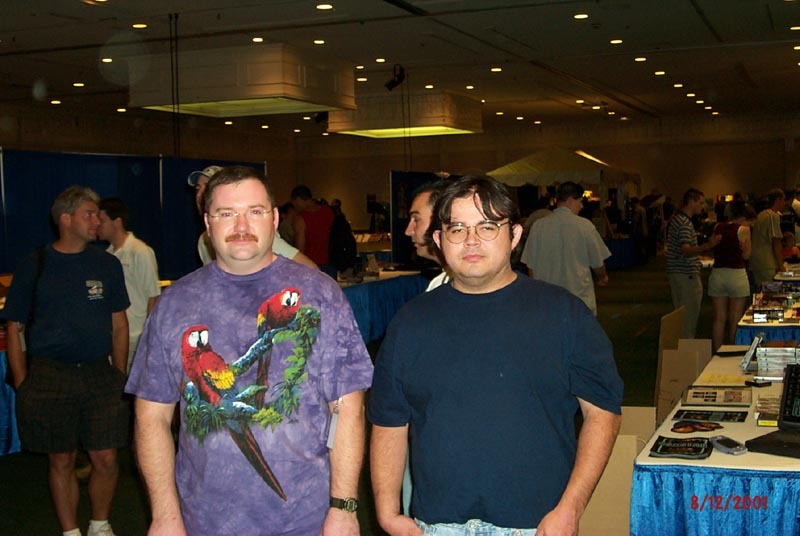 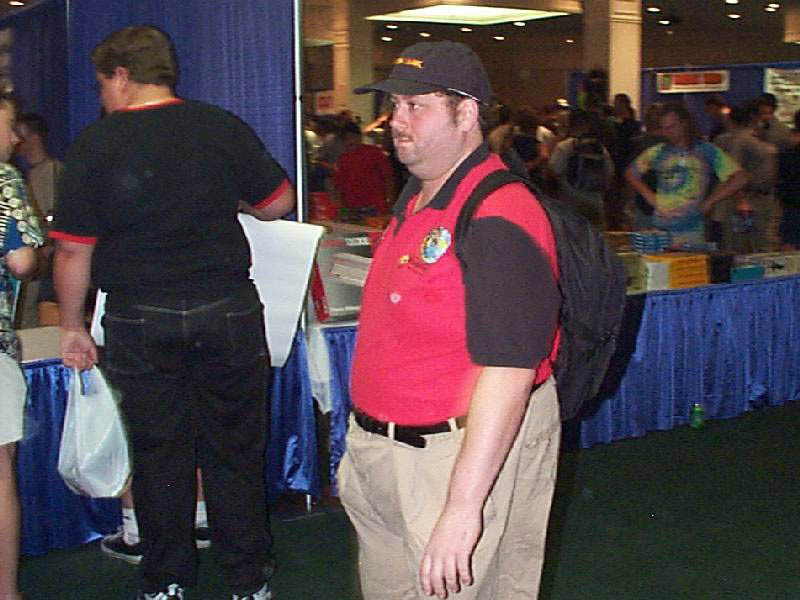 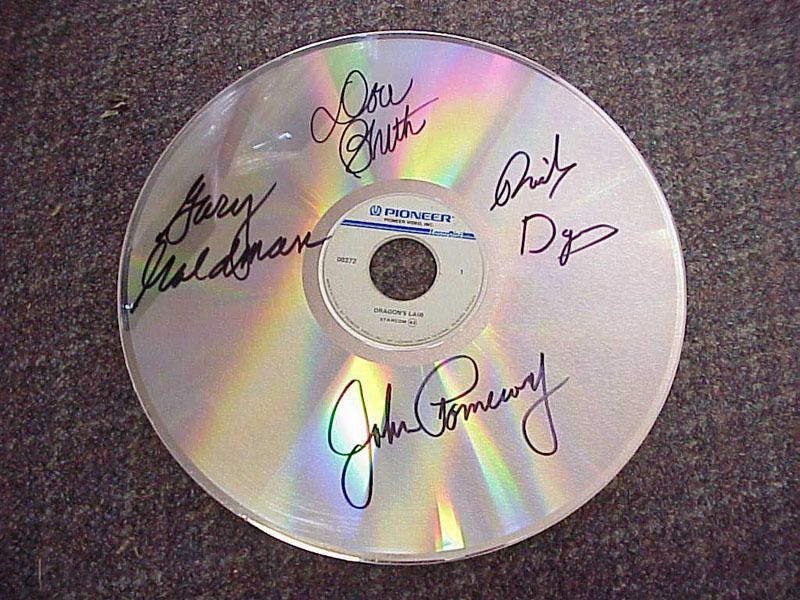 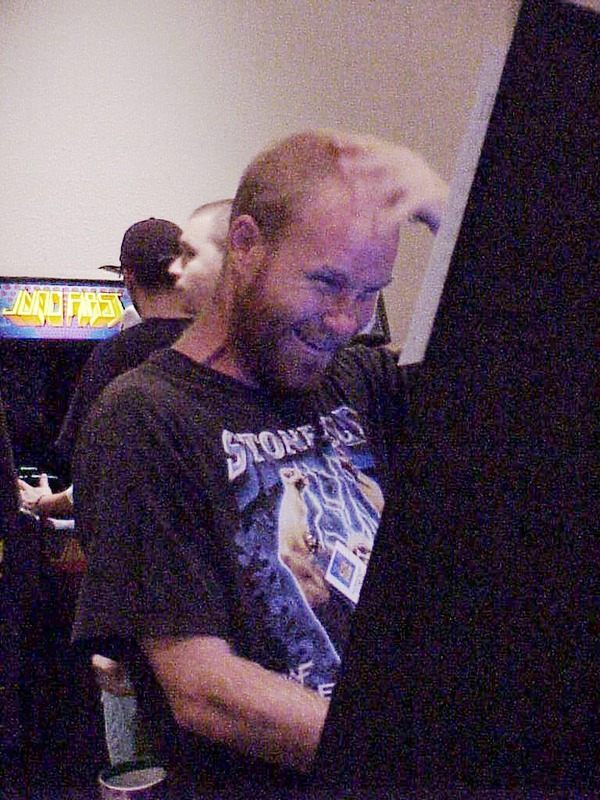 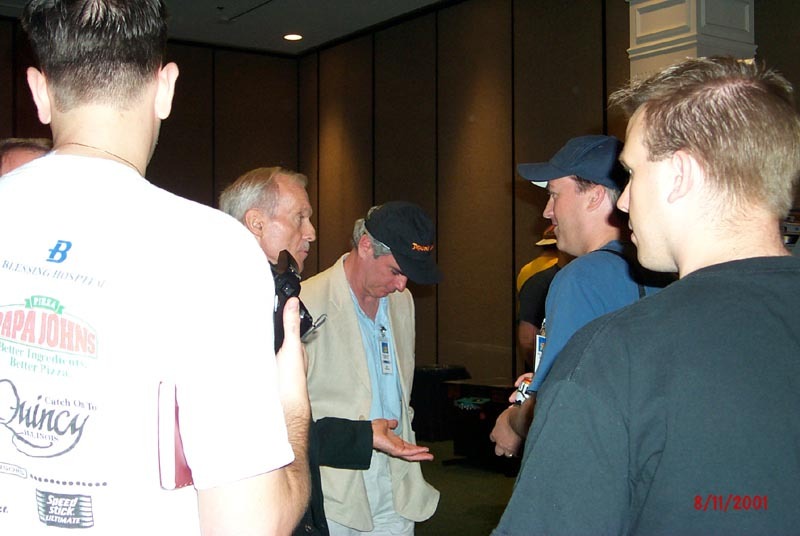 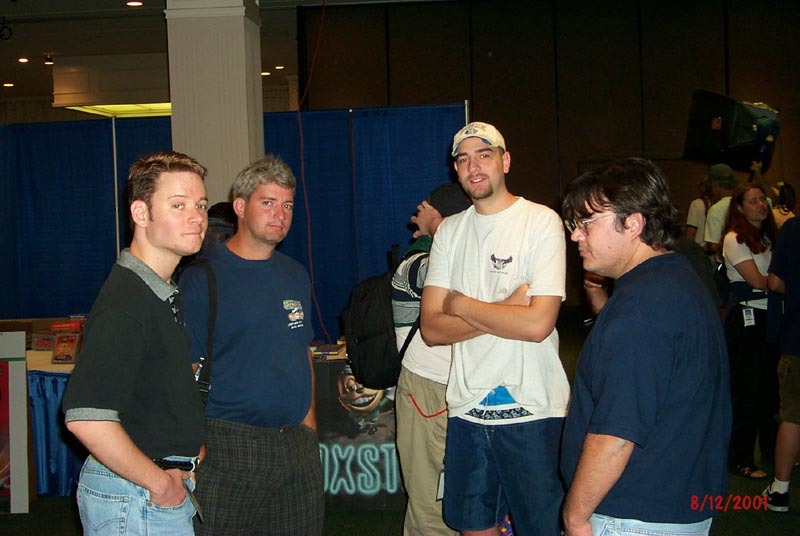 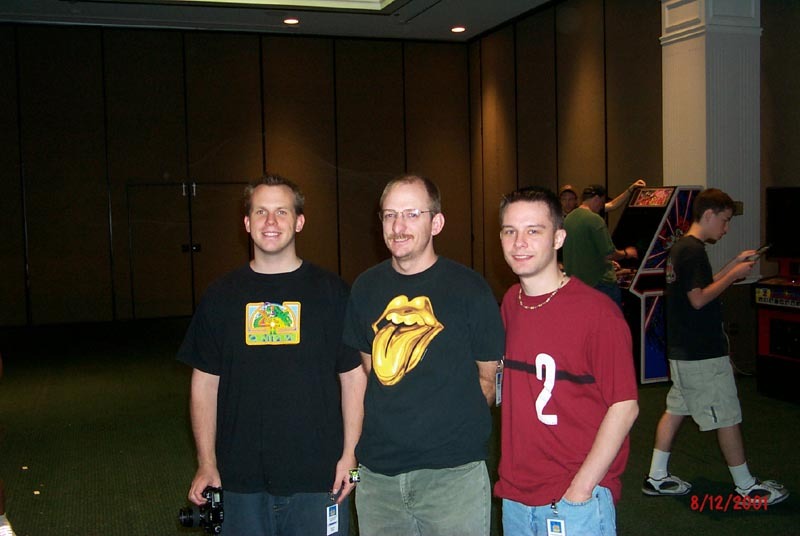 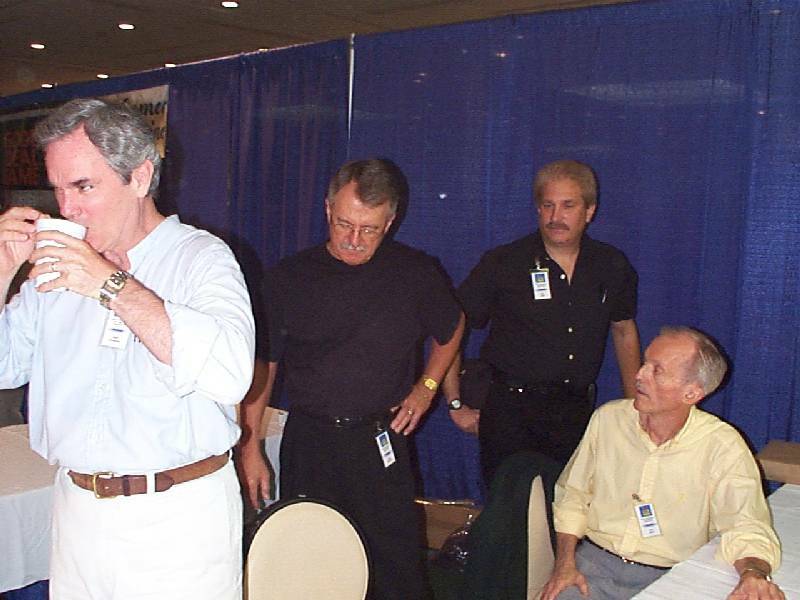 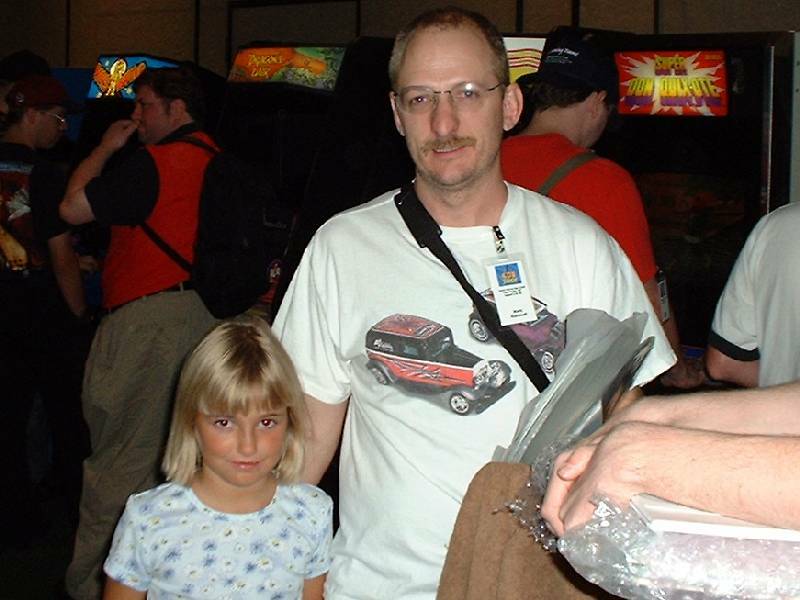 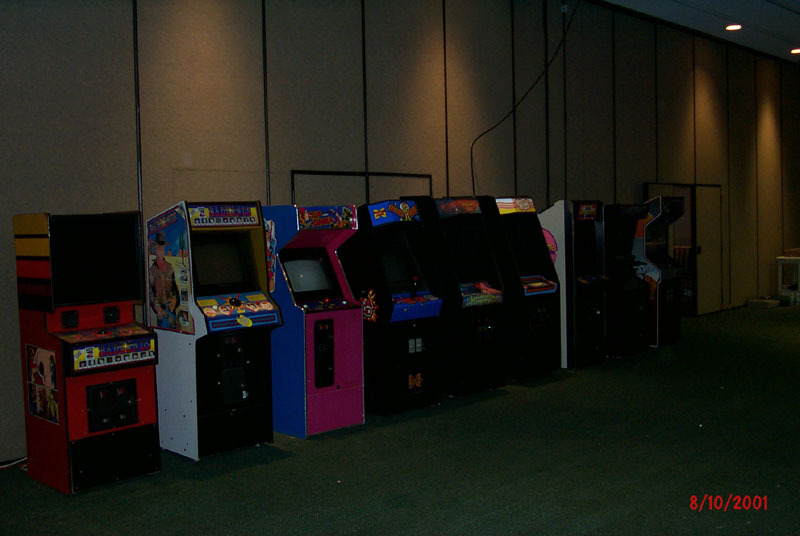 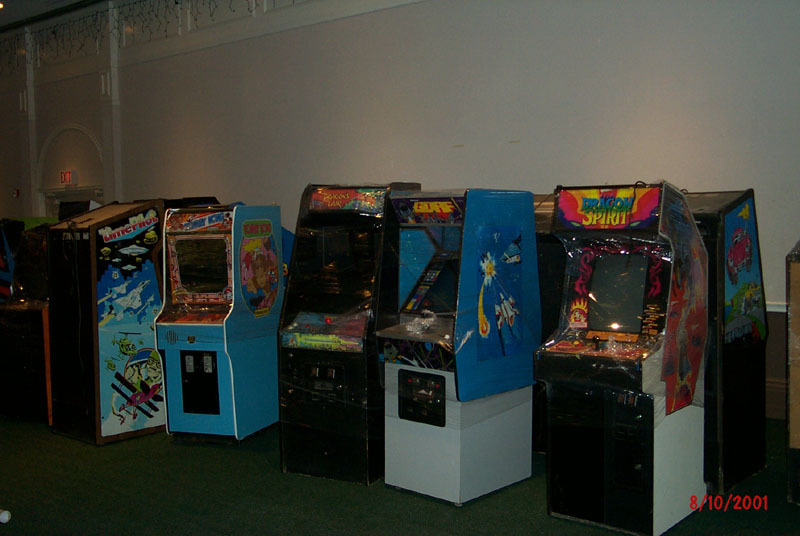 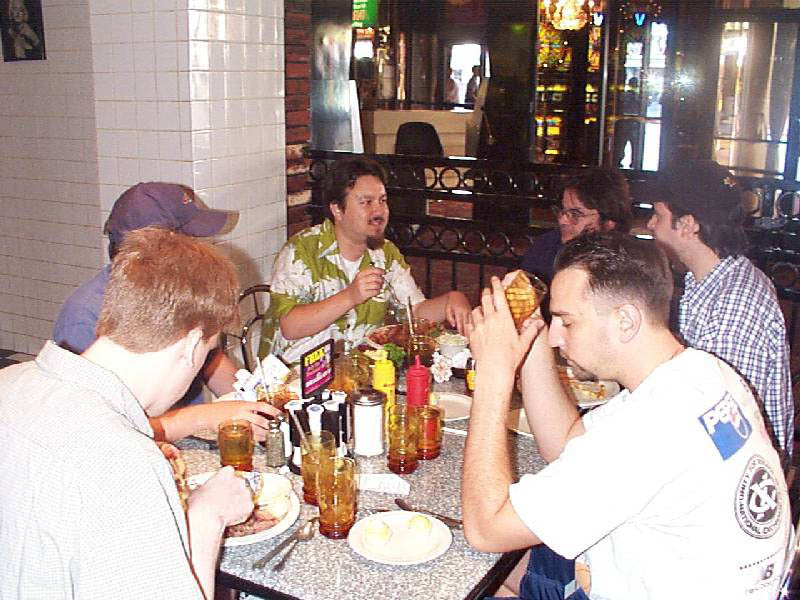 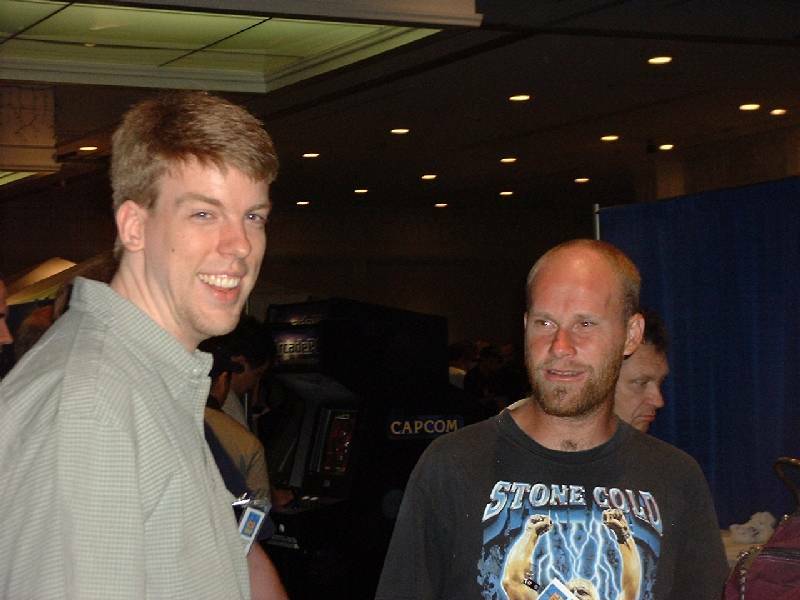 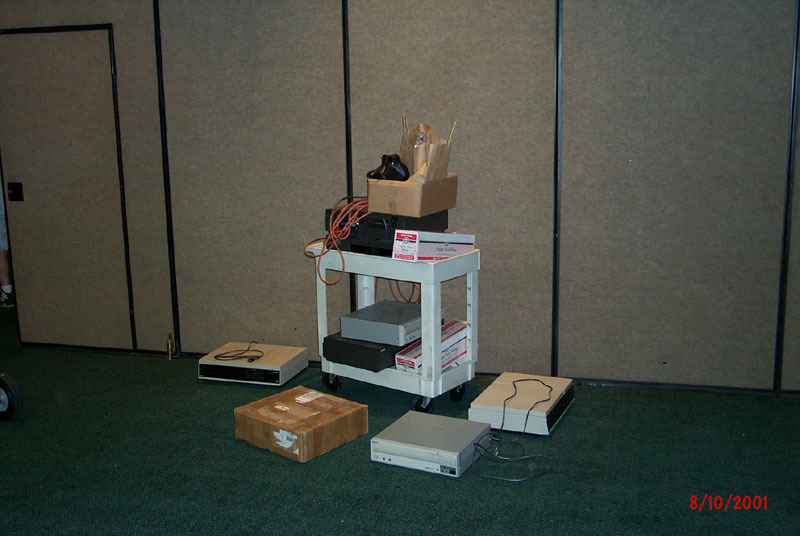 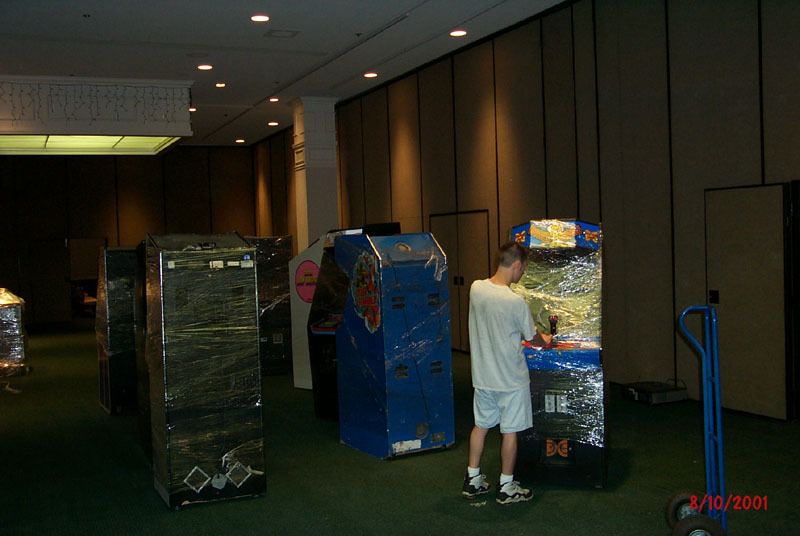 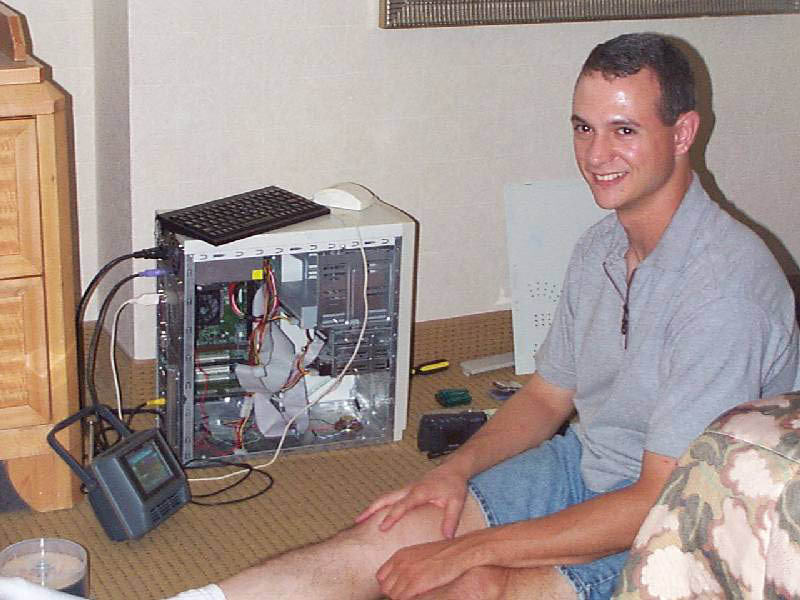 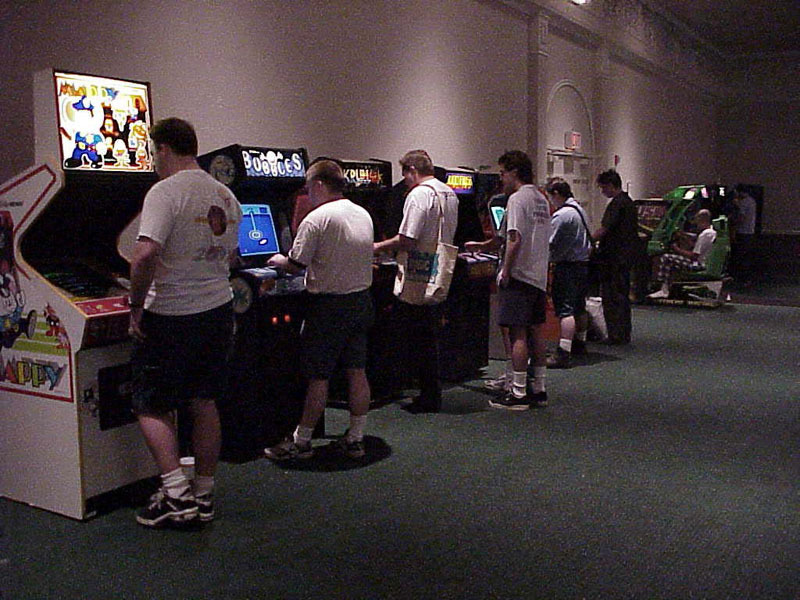 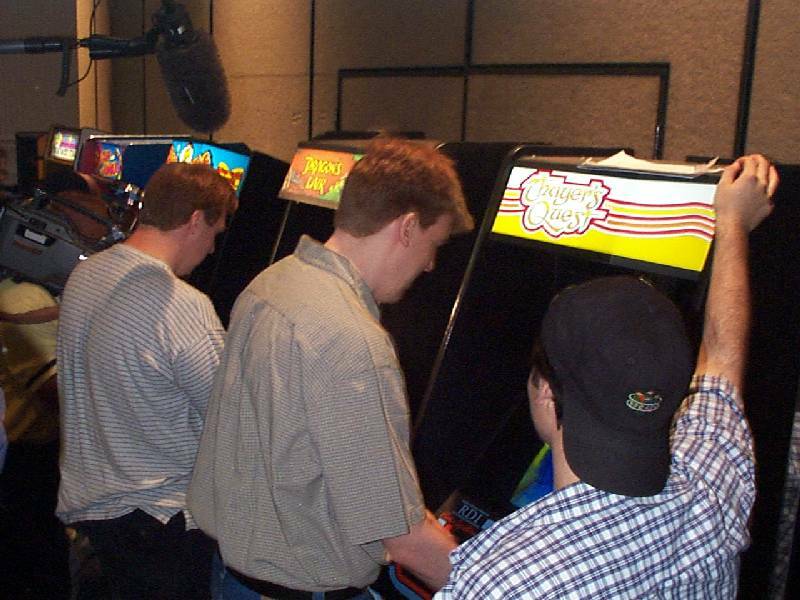 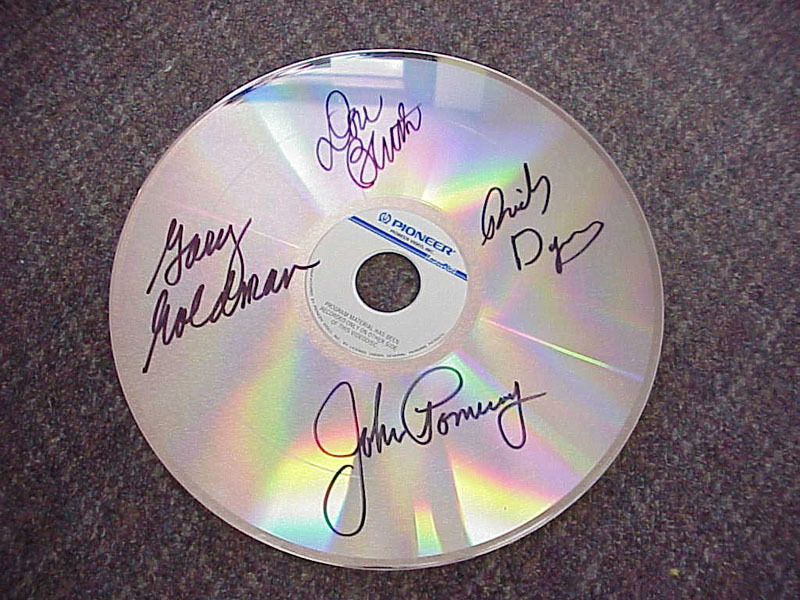 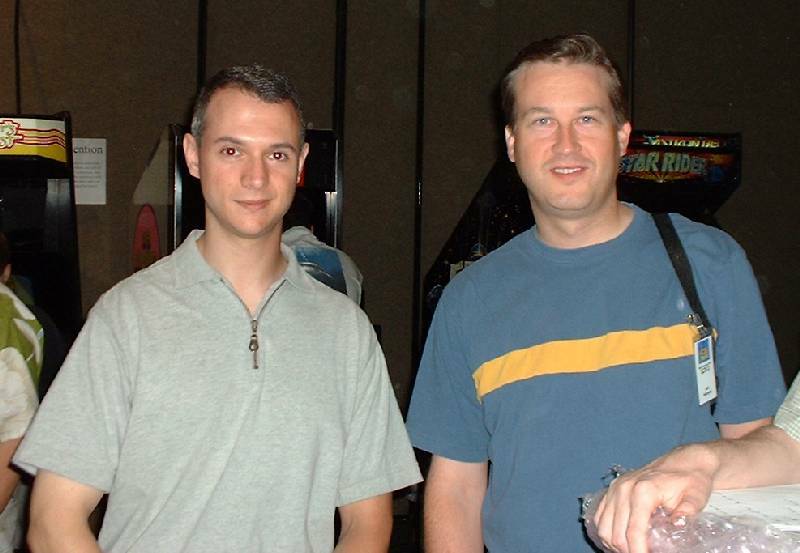 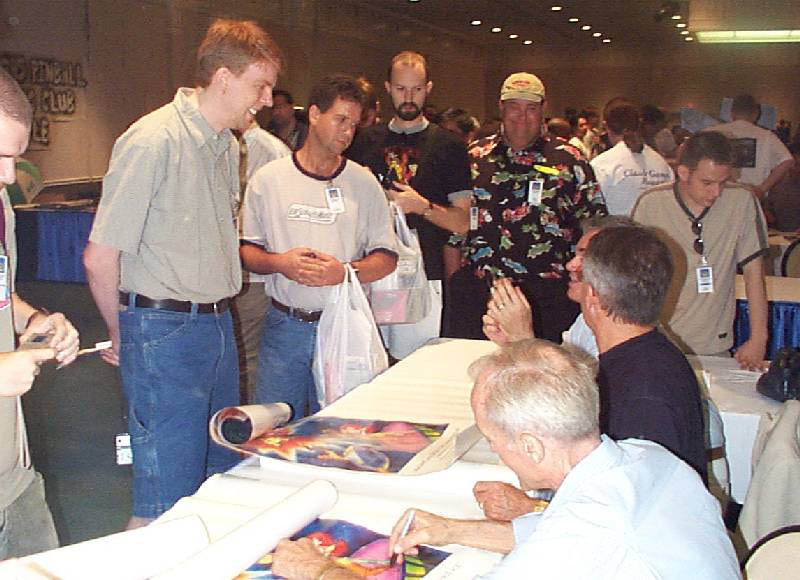 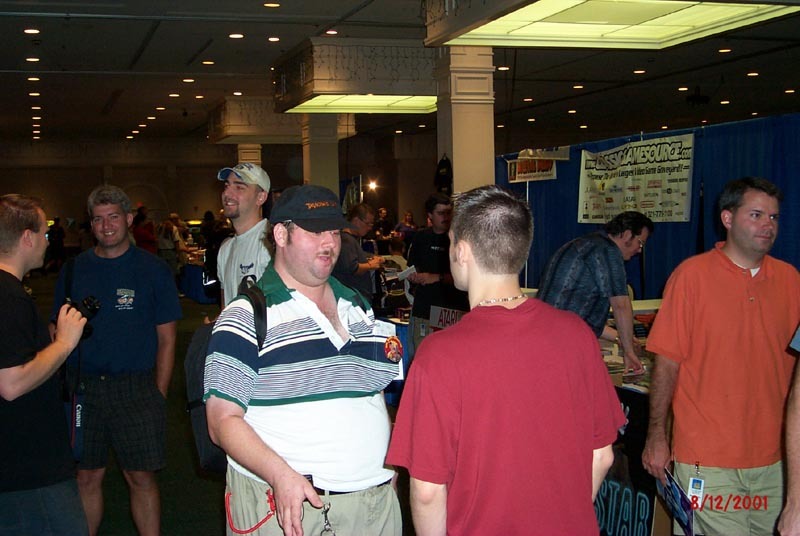 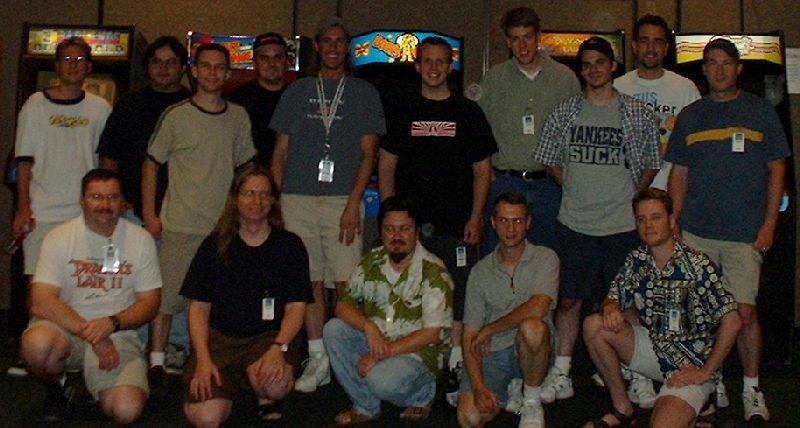 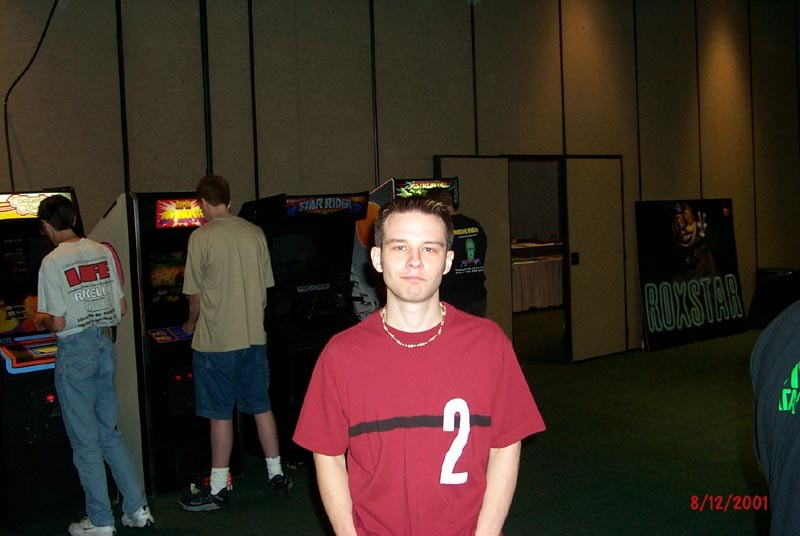 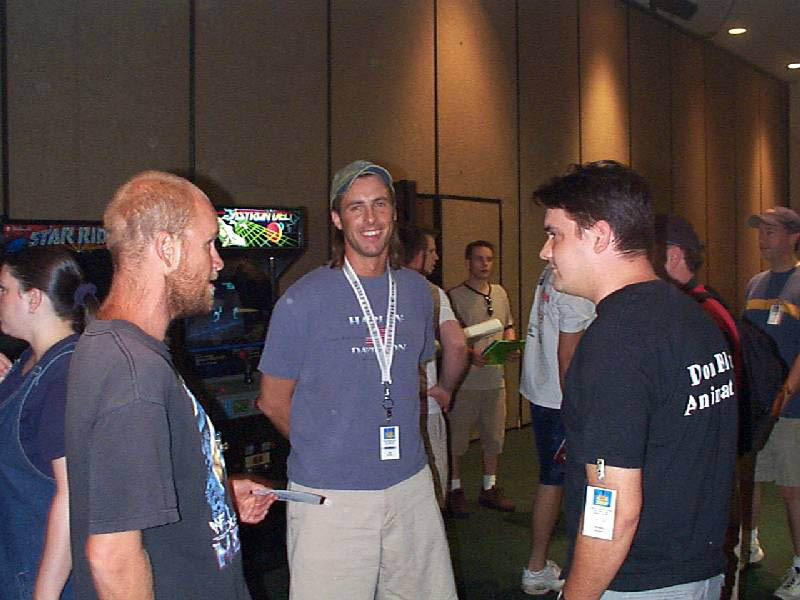 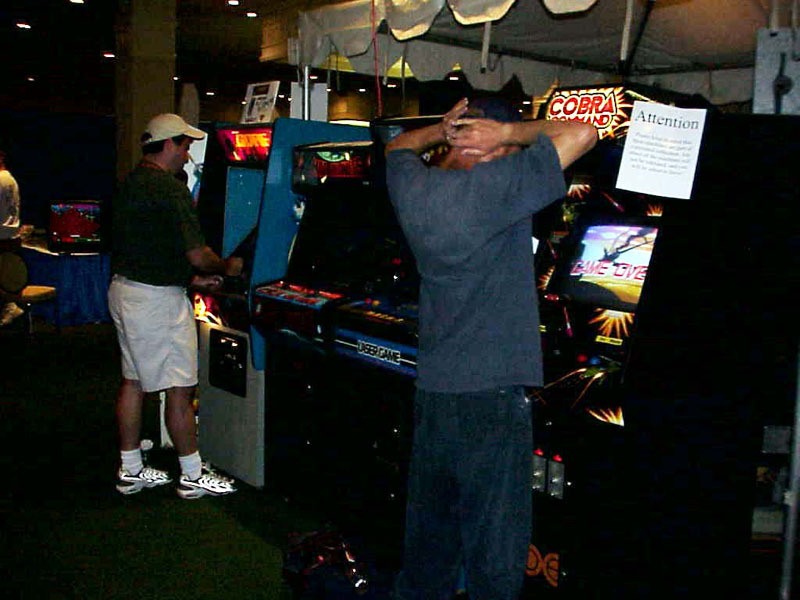 Below are a few of the pictures from CGExpo 2001.